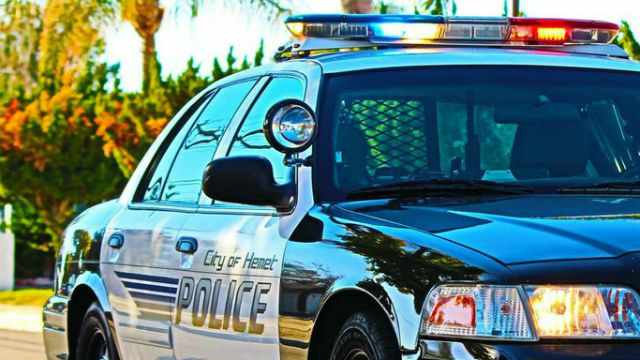 A 17-year-old from San Diego driving a vehicle police suspected to be stolen was shot by a detective during a traffic stop, Hemet Police said Saturday. Detectives with the department’s Crime Suppression Unit conducted the traffic stop at about 9:45 p.m. Wednesday in the 300 block of North San Jacinto Street, Lt. Jeff Davis said. “Detectives transitioned to a high risk stop after a records check revealed the vehicle was reported stolen from the San Diego area. An officer involved shooting occurred during the stop,” Davis said. The San Diego teen was hospitalized with a non-life-threatening gunshot wound and later released to his guardian after receiving treatment, according to the news release. It was unclear what led to the shooting, and a call to Davis by a reporter Saturday morning was not returned. No officers were injured in the encounter, and an investigation was ongoing.